You’ll be surprised by the big things Kubota wheels loaders can do. From construction to farming, Kubota wheel loaders are compact, versatile machines with superior power for unmatched productivity. Steen Enterprises carries the Kubota R 530 and R 630, both of which are capable machines. To help with efficiency, fuel economy and reduce engine noise, the Kubota engine has a common rail system that electronically controls the fuel injection timing and amount in stages rather than all at once. Kubota designed a wide opening engine bonnet for easy access when service is needed. Kubota wheel loaders feature a hybrid link design for stronger bucket force when excavating and grading. The hybrid link system also allows for lift path almost parallel to the ground for superior reach and lifting. Knowing you’ll put many hours behind the wheel of your Kubota wheel loader, the ISO mounted cab has a full-suspension seat, a tilt wheel, and a multifunction control lever. 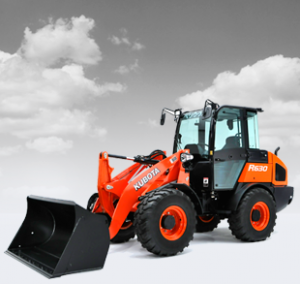 Give us a call with any questions you have about the Kubota R Series wheel loader. 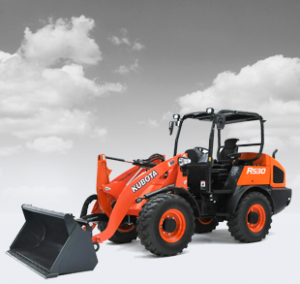 Our experience Kubota experts are answer any questions regarding these machines.